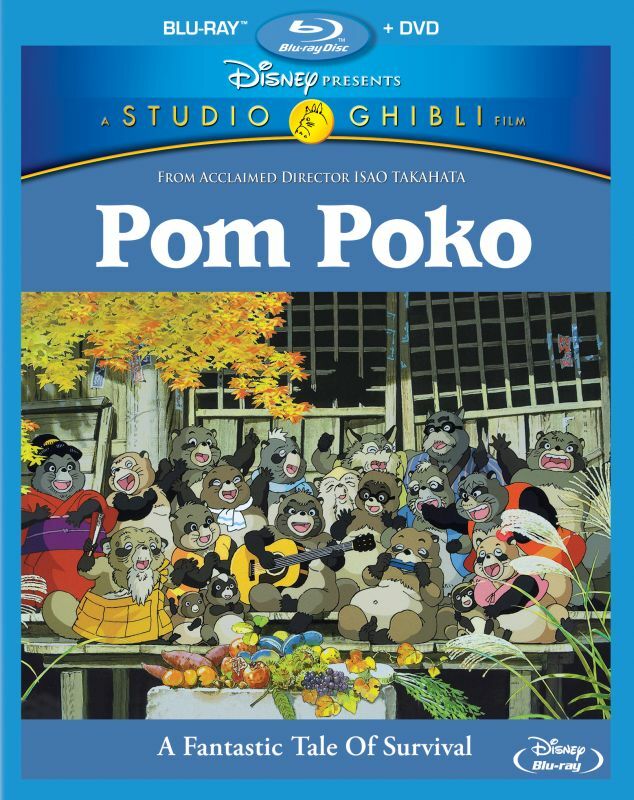 I started off with Pom Poko, which is the story about Japanese animals called tanuki, which are like raccoons, and the expansion of human civilization into their environment and their attempts to stop the disappearance of their home. You can read my more complete summary of this film that I wrote for the Pom Poko profile. It's not a quick moving film and I actually found it a bit dull the first time I watched it. But this time around I knew more of what to expect and I think that helped me to enjoy it a lot more. There is definitely an environmental message to this film, but the way it's presented doesn't make it feel like it's trying to beat you over the head with its message. The tanuki are fun to watch, especially when they are learning how to magically transform into objects and humans. They come up with various plans to figure out what to do about the humans and despite the fact that they can turn into almost anything they want at will, it still feels very realistic in regards to what actions they decide to take and the consequences of those actions. There's even a mild love story which also doesn't hit you over the head. It's nice and subtle and sweet. When it comes to extra features, Disney is usually pretty good. But for reason all they have for this release is original Japanese storyboards and original Japanese trailers. The lack of extras is definitely a disappointment. But the movie was enjoyable and looked fantastic so even though it's a bit unconventional you still might want to give it a try. Studio Ghibli presents a film about the clash between modern civilization and the natural world from acclaimed director Isao Takahata. The raccoons of the Tama Hills are being forced from their homes by the rapid development of houses and shopping malls. As it becomes harder to find food and shelter, they decide to band together and fight back. The raccoons practice and perfect the ancient art of transformation until they are even able to appear as humans. In often hilarious ways, the raccoons use their powers to try to scare off the advance of civilization. But will it be enough? Or will the raccoons learn how to live in balance with the modern world? Celebrate the magic of the forest and the beauty of the creatures who live among us in “Pom Poko”—now on Disney Blu-ray for the first time ever. Olivia d’Abo (“The Wonder Years,” “Conan the Destroyer”) as Koharu.